Ubuntu will play a simple alert sound for certain types of messages and events, e.g., error input in terminal and usb plugged in or removed. For some reason, you may want to disable or mute the alert sounds. And this quick tutorial will show you how to do it in Ubuntu 18.04 Gnome desktop. 1. 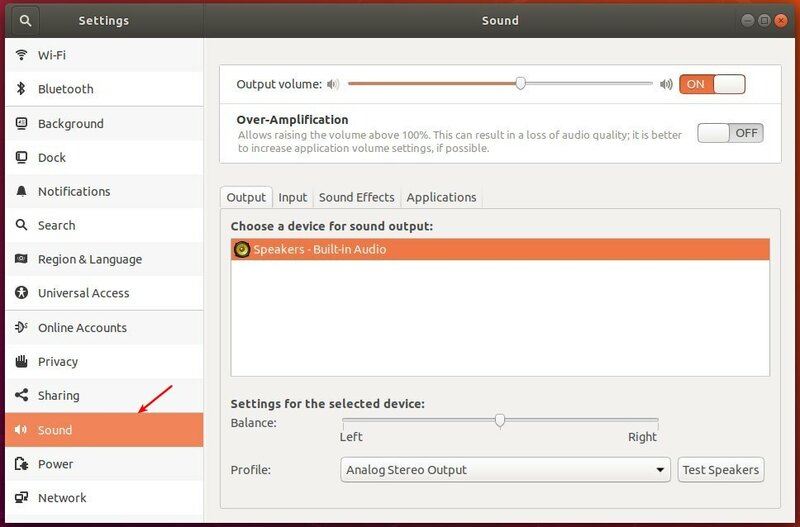 Open Settings utility from the left panel, and navigate to Sound settings from its left pane. 2. 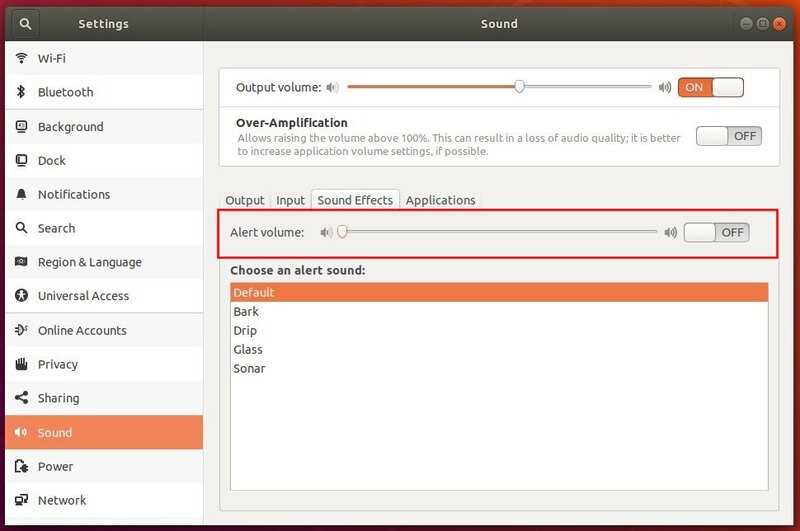 Then navigate to Sound Effects tab, and either mute or turn off “Alert volume”. 3. 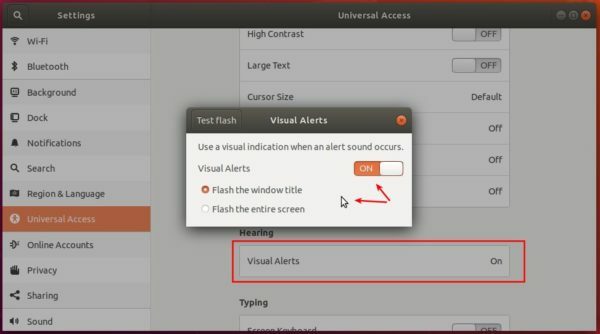 (Optional) Instead of playing alert sounds, you can have visual flashes for the events. Go to Univeral Access settings, choose enable “Visual Alerts”, and set flash window title or entire screen.